MOSCOW, January 15. /TASS/. Moscow considers the Vancouver ministerial meeting on North Korea to be destructive and refutes false reports about its support for the event, Russian Foreign Minister Sergey Lavrov said at his annual news conference on Monday. He pointed to a statement made by the US Department of State, which claimed that consultations on preparations for the meeting had been held with Moscow and Beijing who allegedly supported those efforts. "It is outright lies. 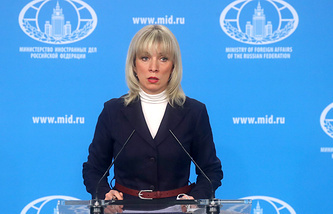 We said clearly that we consider these efforts and this meeting to be destructive," the Russian top diplomat stressed. He noted that the Vancouver meeting would involve countries which were members of the United Nations coalition during the Korean War of 1950-1953. "When we heard about this meeting, we asked: "What is it for, why such participants?’," Lavrov said, adding that the participant list particularly included Greece, Belgium, Colombia and Luxembourg. 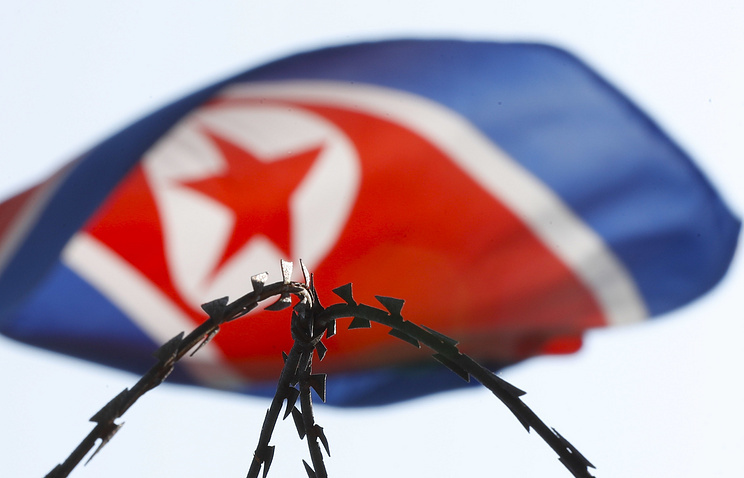 "What do they have to do with the current efforts to resolve the Korean Peninsula issue?" he said. According to the Russian foreign minister, the US claimed there was a need to expand the support for the common efforts, saying that the agenda would include outlining a mechanism to exert additional pressure on Pyongyang, though the Vancouver meeting was announced after the UN Security Council had passed a new resolution on North Korea. Russia and China haven’t been invited to the meeting, though, in Lavrov’s words, there was a proposal that the two country’s representatives join the meeting’s participants on the evening of January 16, after the main sessions were over, in order to be informed about the achieved agreements. "You will agree that it would be unacceptable. We insisted that the United Nations refrain from accepting an invitation to this meeting, though such an invitation had been sent," the Russian top diplomat said. On January 16, Canada’s Vancouver will host a meeting on North Korea, which is expected to involve foreign ministers from 16 countries, particularly those who fought against North Korea during the Korean War. Russia will be prepared to support direct contacts between the United States and North Korea on the Korean Peninsula’s nuclear problem, including those within six-party talks by North Korea, China, South Korea, Russia, the United States and Japan, he went on. He recalled that Moscow and Beijing maintained proactive cooperation over a settlement on the Korean Peninsula. "As you may know, Russia and China have a joint initiative for transition from confrontation to a political settlement of the problem that emerged on the Korean Peninsula. For a start we suggest everybody should calm down and freeze any confrontational actions, in the first place, military activities, be it missile launches, nuclear weapons tests or large-scale exercises, which the United States has held and still holds in the region jointly with the Republic of Korea and Japan," Lavrov said. "When such a freeze, a moratorium on unfriendly and confrontationist steps takes effect, we will actively support direct contacts between the parties most concerned. As far as the nuclear problem is concerned, I am referring to Pyongyang and Washington in the first place, but we will be prepared to accompany their bilateral dialog within the framework of the six-party process with Russia, China, Japan and the Republic of Korea taking part," he added. Efforts along these lines have turned out no easy, Lavrov remarked. "As I’ve already mentioned, the United States has come very close to saying bluntly a military solution will be inevitable. Everybody understands the disastrous consequences of such an adventure. 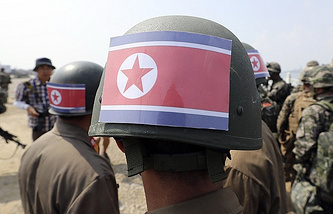 In a situation where conditions for starting a dialog emerged the most often provocative actions, such as ever lager military exercises around North Korea followed only to trigger another spiral of tensions," Lavrov said.